Pokemon Go has been a runaway success and no matter where you go, you will find people playing the game and trying to catch ’em all. One feature that has been missing from Pokemon Go is in-game chat. There is no way for people to talk to each other by sending messages or posting in bulletin boards. GoChat for Android and iOS aims to solve this precise problem by allowing Pokemon Trainers to talk to each other. It helps people devise game tactics, talk to gym leaders, and inform people about the exact whereabouts of various Pokemon and PokeStops. Just like the game, the chat is location-based and allows you to only read the posts that are around your area and asks you to get closer to the area in case you are too far in order to read the posts. The GoChat messaging service also allows you to create your own profile and add friends to it. 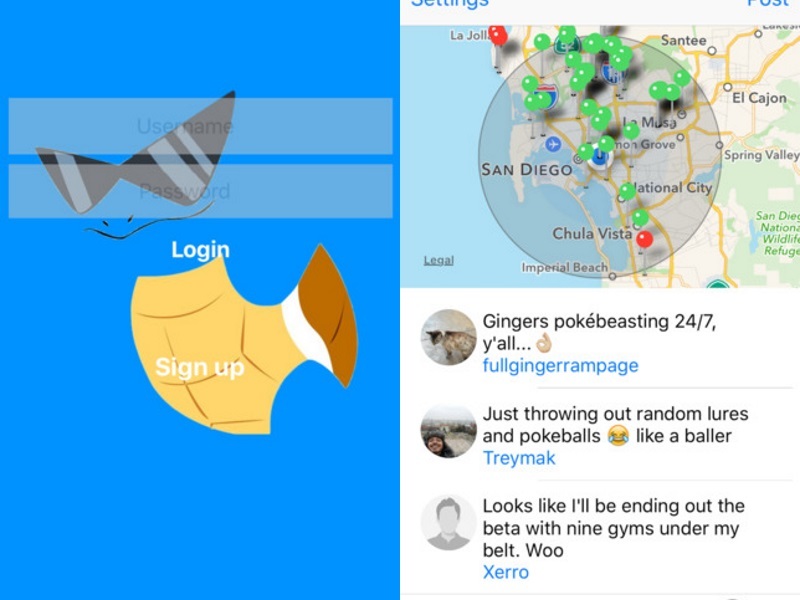 You can also send direct messages to Gym trainers or other friends that you have added to the profile. The app is currently available on iOS as well as Android and works as a cross-platform app that allows you to message someone irrespective of the platform both GoChat is being used on. The messaging app is just one of the several unofficial companion apps Pokemon Go has given birth to, apps that are trying to bask-in some of the glory that the game is getting around the world. Even though Pokemon is only available officially in three countries, according to analytics firm SimilarWeb, the game has found itself on more devices than Tinder. Coming back to GoChat, the app was created by first-time developer Jonathan Zarra. Speaking to The Verge, Zarra said the app already has nearly a million users within five days of launch, and its servers are getting nearly 600 requests per second. The app is also amongst the top searched apps on the App Store, and amongst the top most downloaded apps. Zarra admits GoChat, which was launched on July 4 just before Pokemon Go, is struggling to handle the massive load – leading to frequent crashes and new users being unable to register for the service. He’s looking to upgrade the back-end of the app, and The Verge cites Zarra’s contractor to say the new servers will cost roughly $4,000(around Rs. 2,68,000 rupees). Zarra says he has no intention of bringing ads to the app, making breaking even an unrealistic goal. GoChat’s developer refused to say how much he’s spent on the app so far, but added that monetising the app may invite litigation from the Pokemon Company. Zarra said he is speaking with investors on how to keep the app solvent.